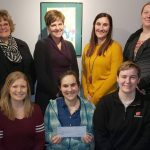 KANDU Industries Inc.Community Employment Celebrates Grant and a Successful 2018 - KANDU Industries Inc.
KANDU is excited to have been chosen as a recipient by the Forward Janesville’s Ambassador Grant Program. The grant will be used to purchase Boardmaker, a program that utilizes a collection of standardized pictures and symbols for communication with individuals who are stronger visual learners. This software will open avenues to communication for clients participating in KANDU’s Community Employment program. We are grateful to receive this opportunity for our clients to improve communication and access to employment. 2018 was a successful year for KANDU’s Community Employment program. We are excited to report that out of 110 total clients participating, 89 were successfully matched to jobs within our community! Since 2009, KANDU’s Community Employment program has connected with local businesses to help identify and develop job opportunities for individuals with barriers to employment. Our Program Managers assist participants with employment preparation such as resume development, completing applications and practicing interview techniques, as well as providing one-on-one coaching once a connection is established that meets the client’s individual interests and goals. Here at KANDU, we are continually grateful for the hard work of our Program Managers, facilitating win-win opportunities for clients and local businesses. 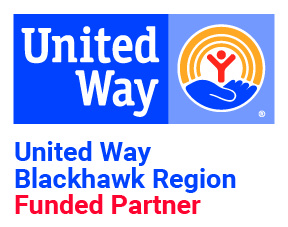 Click here to learn more about Community Employment and how it benefits our clients and the community.